Where can you get the best beer in the world? In your kitchen! 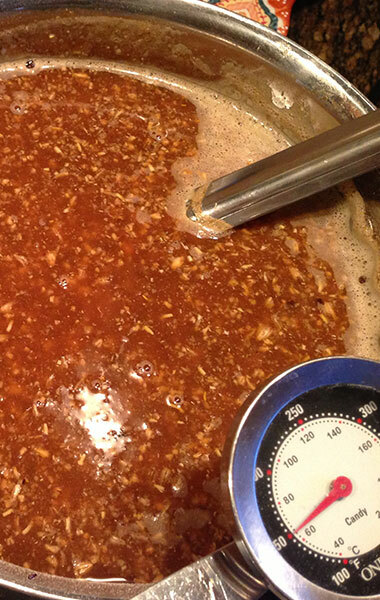 Learn how to brew a 1 gallon batch of all-grain beer on your stovetop. We’ll go through all the steps from mashing to bottling and we’ll do it with a kitchen stovetop and a stockpot. 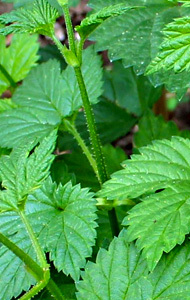 In this three hour workshop you'll learn how to grow, harvest, dry and store backyard hops and herbs for homebrewing. 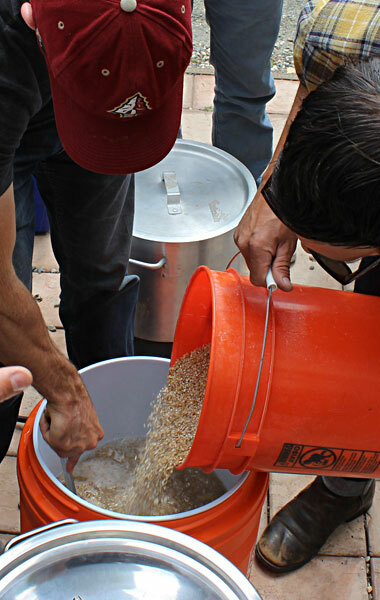 In this hands-on workshop you will brew an all-grain beer on a 5 gallon and 10 gallon system. Learn about the history and chemistry of beer and how to brew from start to finish. Each class goes in-depth into a specific style. All classes require pre-registration and payment to hold your spot. There are no walk-ins. In rare cases, we may approve you to "pay-when-you-arrive." This is a good faith agreement . Should you not show up, for any reason, payment is still required for the service of holding your spot, preparing for your participation and turning others away who may have wanted to be there. We will confirm your registration by email once we have received both your registration form and payment. If you have not heard from us within 5 days of mailing your check or paying with PayPal please contact us. We send you another email one week before the class to remind you it is happening and give you pertinent details of time, location etc. If you do not receive an email please contact us. Occasionally our emails go to the wrong address or land in the junk mail box and we won't know unless you get in touch. Generally a class has space until we put up the "class full" indication. However sometimes a class will fill up in the time between your mailing off a check and us receiving it. If this is the case, we will call you to notify you immediately and either return your money or apply it to another class of your choice. Unless the calendar or class description lists a class as "Class Full" the class is still open and you may register. If it is less than 48 hours before the class you must use our online registration form or call us to make other registration arrangements. (510)457-1659. If we approve you to "pay-when-you-arrive" this is a binding agreement that you will show up and that if you do not, you will still pay (see pre-regstration and pre-payment above). You will be sent a confirmation email one week (give or take a day) before your class, with the exact location of the class. If you do not receive this email it is your responsibility to contact us to get the location of the class no later than 24 hours before the class to give us a chance to respond. Classes happen in different locations, so do not rely on anyone else to give you the location of the class, unless they are attending the same class. Please contact us directly. If you do not contact us and you cannot attend because you don't know where to go, it is considered a no show and we will not offer a credit or a refund. You may cancel and request your money be returned in full until 7 days before your class. For example, if the class is on a Sunday at 3pm, you must let us know the Sunday before by 3pm. If you sign up for a class and need to change the date for any reason, we are glad to reschedule you, free of change to a similarly priced class, as long as you contact us at least 7 DAYS before your class. For any further re-scheduling, there is a $20 change fee for the work that goes into moving the information, reconfirming, and attempting to fill your space. If you need to cancel (for any reason) and you contact us with at least 48 hours notice (but less than 7 days before the class), you are eligible for a half credit of what you paid to use for any future class. Credits must be used within one year of being issued. If you sign up for a class & do not call or show up FOR ANY REASON (you got the date/time wrong, car broke down, you are sick, had to work late, etc.) the entire class fee is NON-REFUNDABLE, and no future credit will be given - no exceptions. There is limited space available in each class and many of the classes involve a materials cost and considerable preparation time for the instructors. When a seat is empty that could have been filled, we feel this is only fair. If you cannot show up for any reason and it is too late for credit or refund, you are welcome to send someone else in your place. Please just let us know. If enrollment is below the minimum of 5 students, the teacher has the right to cancel a class 5 days prior to the class. If a class is cancelled, you will be contacted using the phone number and/or e-mail that you gave when signing up, and will receive a full refund or a credit for any future class (your choice).